The all-new Dodge Charger R/T that Mopar brings to the National Hot Rod Association Funny Car series for 2015 is more than just a bunch of stickers on a generic shell — lots more. 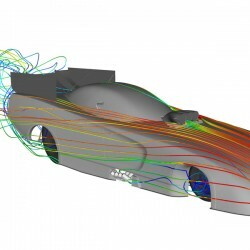 Engineers, designers and body builders at Fiat Chrysler Automobiles, along with the Don Schumacher Racing team and NHRA officials worked closely for nearly a year to design, prototype, test and refine the new Funny Car body. The new design was unveiled Tuesday, Nov. 4, during the Mopar press conference at the SEMA show in Las Vegas. It makes its competition debut at the first NHRA race of the season at Pomona, Calif., next February. 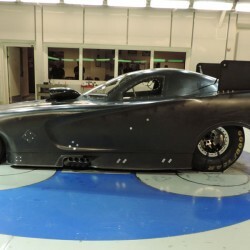 Whereas as some NHRA teams work with outside suppliers for their Funny Car bodies, the 2015 Charger Funny Car body was created inside Fiat Chrysler Automobiles. So the same designers and computerized tools used to create production cars such as the new 2015 Dodge Charger developed the Funny Car body. 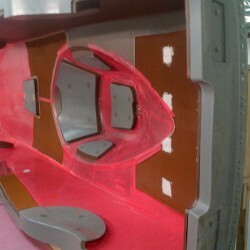 Prototype bodies were tested and refined in the wind tunnel at the Technical Center in suburban Detroit. That enabled the team to integrate key styling cues from the production Charger, such as the signature side scallops, into the Funny Car body. This new Charger Funny Car body replaces a design that is 8 years old. 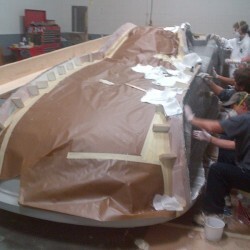 So engineers had the opportunity to use newer strong, lightweight materials such as Kevlar and carbon in the project. The result is a body that is more durable and rigid than the unit it replaces yet weighs just over 100 pounds – while it measures 18 feet long by 6 feet wide by 5 feet tall. Another key change involved the canopy that covers the driver. Designers moved the greenhouse rearward on the body and dramatically increased the viewing field for the driver – giving him or her greater visibility forward and to the sides. 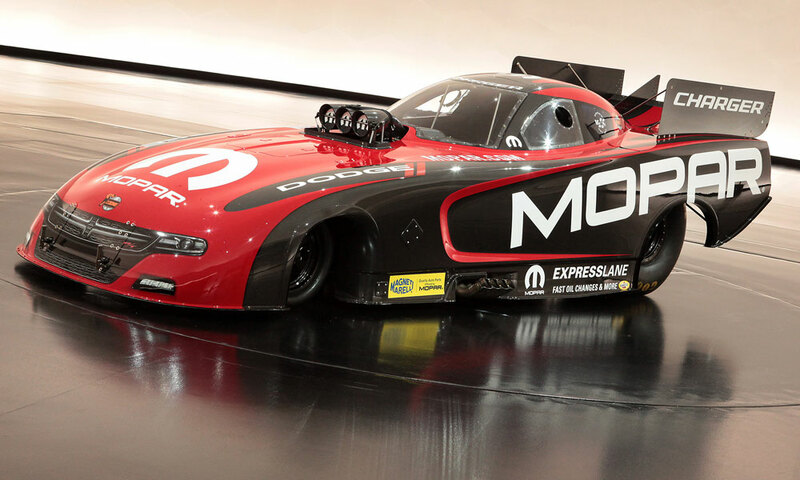 At the same time, the current Mopar Funny Car has been successful on the track, collecting two world championships, 68 national titles and posting the first 3-second run in NHRA history. 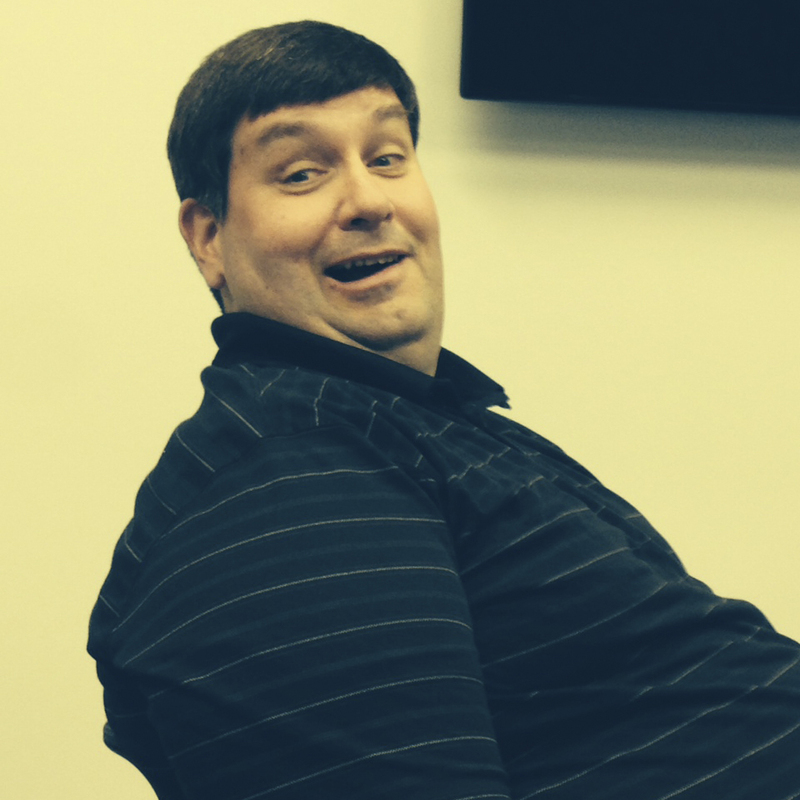 So the development team couldn’t step backward in aerodynamic or track performance. Managing all the different demands of the project is akin to running a decathlon, said David Bailey, Senior Manager — SRT Motorsports Engineering and Design. On top of that, the team had just delivered a redesigned Dodge Dart Pro Stock body to its NHRA teams last spring. But the team faced an additional challenge once the project started: Don Schumacher wanted to be able to test the new Mopar body on track this past fall. 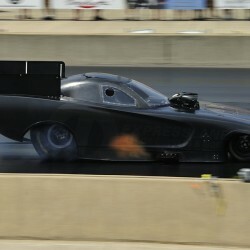 Final testing will keep the Mopar and Don Schumacher Racing engineers occupied over the winter. But the real test comes next February in Pomona, when the Christmas Tree light turns green.